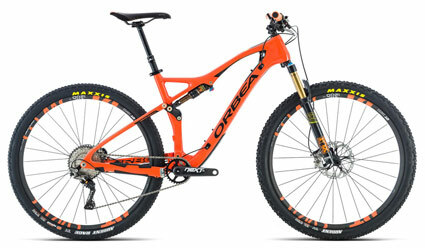 The Occam TR M-LTD is one of the most versatile mountain bikes made. Fiercely capable in heinous terrain with trail geometry but sporting XC race bike weight thanks an OMR frame, the new Occam is made for one thing, and one thing only: Mountain biking. It’s a true Renaissance Man of the sport, and why it’s wearing the finest accompaniments in M-LTD livery: Shimano’s XTR group, Fox Factory suspension, and DT Swiss carbon wheels. Occam uses complex technology to bring you a simple experience. You won’t find a dozen bearings or complex linkages driving a strange proprietary shock. Rather, a startlingly light, remarkably stiff and cleverly-engineered piece of technology designed to last a lifetime. Only a few hundred grams heavier than our XC razor Oiz, Occam’s weight will turn heads. Let the Occam TR M-LTD welcome you home.